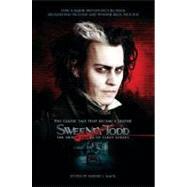 Tod Slaughter Triple (Sweeney Todd / Maria Marten / Crimes at th..
Screen sensation and Golden Globe winner Nicole Kidman (Moulin Rouge Eyes Wide Shut) delivers an utterly unforgettable performance in this scary and stylish suspense thriller. While awaiting her husband's return from war Grace (Kidman) and her two young ..
Somewhere between love and forgiveness lies redemption. 1920, Swandyke, Colorado. A large split of snow separates from Jubilee Mountain and hurtles down the rocky slope, enveloping everything in its path, including nine children. Only four children survive..
Eureka Entertainment to release DAY OF THE OUTLAW, the last western made by Andre De Toth set in a snowed-in Wyoming town and starring Robert Ryan and Burl Ives, available for the first time in the UK and on Blu-ray in a Dual Format edition for the first t..